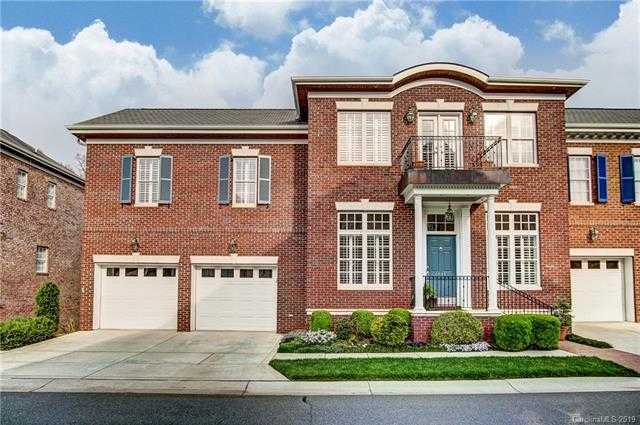 Absolutely stunning 5 bedroom, 4.5 bath townhome with oversized 2 car garage in South Park! Located on the 5th hole of Carmel Country Club’s North course. Beautiful floor plan with 10′ ceilings on main.Formal living room & dining room. 2016 kitchen remodel- Wilsonart Mehndi quartz counter tops, Bosch double oven, Bosch induction smoothtop w/ downdraft, coffee/expresso cabinet system. Spacious great room & breakfast room. Fantastic owner’s suite w/ sitting room. 2016 owner’s bath remodel w/ jetted tub & frameless shower. Custom cabinets, quartz top & custom flooring. His/Hers walk in closets w/ California Closet type remodel. Upstairs- huge bonus room w/ wet bar & fridge, walk in attic. 3 other spacious bedrooms, 2 baths. Largest bedroom w/ Juliet balcony and private bath. Basement- 12′ ceiling, rec room w/ bar area & sink. Extra bedroom & bath, office (can be another bedroom). More storage! 2016 tiled patio remodel. Surround sound in many areas. Recent HVAC’s. Absolutely stunning! Please, send me more information on this property: MLS# 3485125 – $749,900 – 6533 Wakehurst Road, Charlotte, NC 28226. I would like to schedule a private showing for this property: MLS# 3485125 – $749,900 – 6533 Wakehurst Road, Charlotte, NC 28226.